Hanover, Md. 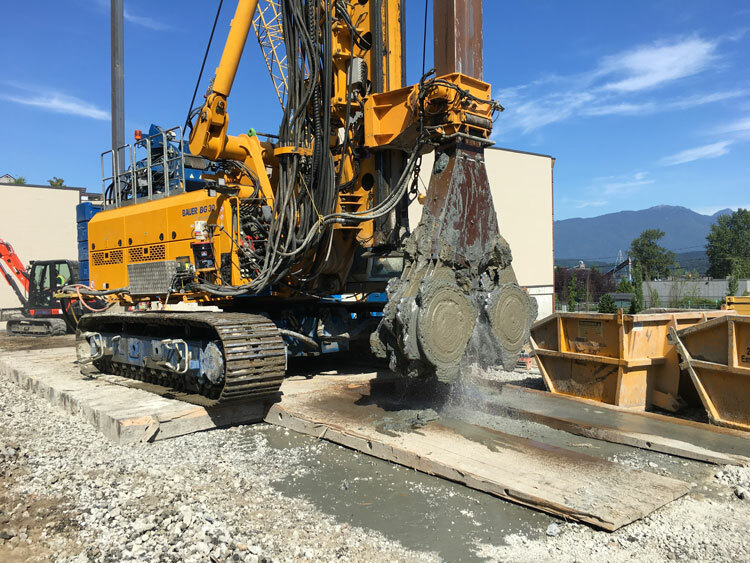 — Keller completed its first cutter soil mixing (CSM) project for Aragon Properties Ltd. in Port Moody, British Columbia, at a new mid-rise development complex called Platform. CSM is well-suited for areas in the lower mainland and Pacific regions of Vancouver with deltaic alluvial flow deposits where there are few obstructions. Developed from diaphragm wall technology, CSM uses two sets of counter rotating, vertically mounted cutter wheels that cut the surrounding soil and blend the injected cement slurry with the in-situ soil to form soil cement panels. Keller performed earth retention and excavation support at 2718 Clarke Street on the approximately 38-meter-tall by 79-meter-wide property to aid in establishment of Aragon’s modern living spaces. A CSM shoring wall was designed as a temporary earth retention structure. Field Engineer Johannes Reinisch explains that construction included the supply and installation of almost 90, 650-mm-thick CSM panels to a depth of up to nearly 16 meters. Keller then completed the installation of 124 H-piles within the CSM panels. Superintendent Bradley McKay was pleased to report that production finished one week ahead of schedule due to Keller exceeding production targets. Keller will return to install two levels of anchors for a separate scope of work, which is anticipated to last a couple of weeks.